Today the Microsoft Exchange Product Group announced the release of the Exchange Server 2019 public preview! They also lifted the veil on some of the new features/capabilities etc. of this new major build of Exchange Server. Where can I download the Preview bits? 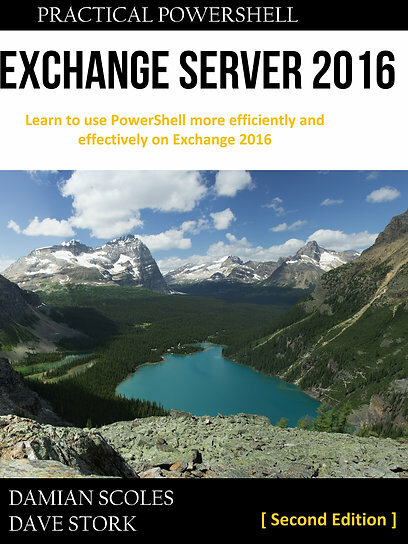 Click here to download Exchange Server 2019 Preview. Warning: These are Preview bits and are not meant to be used in a production environment (not even as a added Exchange server!). Use a lab environment to test out this preview. YES! It will be finally possible to install Exchange Server 2019 Preview on Windows Server Core 2016 and 2019. The Product Group mentions that they consider this the best deployment option. Most admin tasks are either performed via the web based Exchange Admin Center or via remote Exchange PowerShell (/plug: have you bought our book?). That means that there isn’t really a need for a desktop experience but that remains an option. Windows Server 2019 is still in preview, but you can download the Windows Server Insider Preview here (after signup). This is obviously a required feature: better performance in a new major build. They engineered Exchange 2019 to support 48 CPU cores and 256GB RAM. That is a huge improvement from the previous maximum server configuration (max 24 CPU cores & 192GB RAM) for Exchange 2013/2016. This is mostly an improvement for large Exchange deployments containing thousands of mailboxes; those deployments now can opt to have less Exchange servers and save on licenses. Smaller environments probably won’t benefit from this. And again search has been re-engineered; now search uses Bing technology; faster/better results, better database fail-over etc.. We’ll have to experience the build with production data in order to check their promises. The most visible change is that index data is now stored inside the database. Previously it were files/folders located in the same folder as the database file and indexing was a per database process (eventually). By integrating the search index, they hope to improve database fail-over with consistent search indexes. It’s not in the preview build, but eventually there will be support for SSD storage solutions for specific Exchange data. I find this quite interesting how this would work in real production environments. However, most on-premises Exchange environments I’ve encounter are virtualized with shared storage with traditional spinning disks. There will be some calendaring improvements from Exchange Online that will come on-premises, such as Simplified Calendar Sharing, Do Not Forward for meeting request and more managing options for admins. This might be a shocking reveal to some, but there where signs that this was about to happen. If you require Exchange UM functionality (i.e. Voicemail or Auto Attendant) for Exchange Server 2019 mailboxes, Microsoft states that you should consider migrating to Skype for Business 2019/Office 365 and use Cloud Voicemail. This means that if you require Voicemail functionality with Exchange Server 2019, you have to leverage the Microsoft Cloud. Product Manager Greg Taylor mentioned this during Microsoft Ignite 2017. This specific featured enabled Modern Authentication on Exchange protocols (including for Outlook). This would become possible without requiring Azure Active Directory/Office 365. And Modern Authentication brings us MFA capabilities. They did not mentioned it in this article, so it might not be present in this preview. I’ve added this here in order to collect as much new publicly announced functionality in one post. You can see Product Manager Greg Taylor talk about authentication during that talk here. Want to know more? Check out this page on all Wave 2019 products. Or see Greg Taylor inviting you to Microsoft Ignite 2018 this September in Orlando. They will launch Exchange Server 2019 at Ignite. It stands to reason that they have a lot of sessions regarding this 2019 release! Exciting! I will be there as well!